Opposition activist Fadhil Abbas has been handed a jail sentence over tweets he wrote criticising the Saudi-led airstrikes against Houthis in Yemen, in which Bahrain is involved. Abbas was arrested on March 27, a day after the launch of the airstrikes, which he described as an ‘invasion’ and an ‘act of aggression’. He was convicted of “disseminating erroneous information and spreading tendentious rumours” and sentenced to five years in jail. A group of doctors launched a Facebook page exposing the poor conditions of Egypt’s public hospitals on 7 June. The page has been sharing photos of the difficult and sometimes filthy conditions under which health professionals have to work, and has attracted more than 300,000 “likes” and media attention. Shortly afterwards, another page was launched to draw attention to the situation in schools. However, this page has since been deleted by its administrator, who cited “security concerns”. On 12 June, Kuwait’s Court of Cassation upheld a 6-year jail sentence against blogger Saleh al-Saeed for criticizing neighboring Saudi Arabia. In a series of tweets posted in October 2014, Saeed accused Saudi Arabia of grabbing land in the neutral zone between it and Kuwait to exploit the area’s oil reserves, and slammed country’s inaction. On 22 June a Casablanca court ordered news website Goud to pay 5 million Moroccan dirhams in damages to the king's private secretary, Mounir el-Majidi. The website was convicted of defamation for republishing an article accusing el-Majidi of of corruption and mismanagement of funds. The website is set to appeal the conviction. On 29 June, a court in Casablanca sentenced in absentia the director of the news site badil.info, Hamid Mahdaoui. Mahdaoui was handed a suspended jail term of four months for publishing a report on the death of political activist Karim Lachkar in police custody. He was also ordered to pay a 10 million Moroccan dirhams in damages to the head of the general directorate of national security and a fine of 6000 dirhams. On the same day, and in a separate case, a court in the city of Meknes delayed Mahdaoui’s trial over a story about a car bombing that was published on his site. On 22 June, an Israeli court sentenced Uday Mufid Ibrahim Bayomi, a Palestinian man from East Jerusalem, to 17 months in jail over Facebook posts the court deemed as incitement against Israel. There was no further information about the content of the posts. In the West Bank city of Ramallah, user Ayman Mahareeq is facing charges of insulting Palestinian officials over posts he published on Facebook. In one post, reports NPR, Mahareeq accused Palestinian security forces of “withdrawing and hiding” whenever Israeli forces enter the West Bank. In another post, he wrote: “May the rule of the Palestinian Authority collapse”. Mahareeq was arrested in November 2014, and spent one month in detention, during which he claims he was interrogated and beaten. Following the release by Wikileaks of 61,000 documents leaked from Saudi Arabia's Ministry of Foreign Affairs, the government warned its citizens against sharing and accessing the documents. According to Global Voices, in two tweets posted on 19 June, the Ministry of Foreign Affairs asked “aware citizens” not to “spread any documents that may be forged and which will help the enemies of the state achieve their goals”, and not to “access leaked information, which may be fabricated, with the goal of harming national security”. Quebec’s government has granted imprisoned blogger Raif Badawi an immigration certificate. Badawi is currently serving a 10-year jail sentence for criticizing senior religious figures on his website, ‘Free Saudi Liberals’. He was also sentenced to 1,000 lashes, and received the first round of 50 lashes on 9 January. The lashing punishment has since been postponed on medical grounds. A court in Abu Dhabi sentenced user Nasser al-Faresi to three years in jail and fined him 500,000 dirham (136,000 USD) for posting on Twitter, “rumors, ideas and information that could incite hatred, and disturb public order”. In one tweet, Al-Faresi reportedly described a 2012 sedition trial against him, a “judicial farce”. State-owned Yemen Net, the largest Internet service provider (ISP) in the country, blocked more news sites, including Hadhramaut news portal, al-ayyam.net and Observers’ Press. Since the beginning of the Saudi-led war against them, Houthi rebels who control the capital Sanaa—as well as government offices including the Ministry of Communications and Information—have been blocking websites, particularly those critical of the agencies’ policies. After the adoption of Resolution 2222 by the UN Security Council, which “condemns all violations and abuses committed against journalists, media professionals and associated personnel in situations of armed conflict”, IFEX members have urged the Council to protect journalists in Yemen, noting that 12 journalists are currently being held hostage in the country. 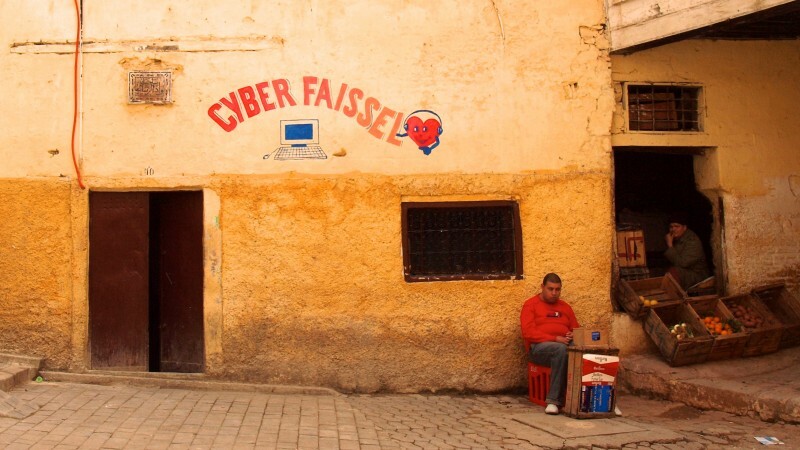 Mada Masr published an article looking at increased attempts by Egypt’s government to control online spaces. Al-Monitor looks at how security forces keep critics quiet in the “progressive” UAE. 7iber has a new report on how digital content is controlled in Jordan. Global Voices looks at which Arab media covered the #SaudiCables released by WikiLeaks. Applications for SMEX’s new online course for aspiring Arab digital journalists are being accepted until July 20. Pro-tip: Submitting a brief bio video increases your chances of selection exponentially. Apply here. Digital Citizen is brought to you by Advox, Access, EFF, Social Media Exchange, and 7iber.com. This month’s report was researched, edited, and written by Afef Abrougui, Fahmi Albalheth, Mohamad Najem, Dalia Othman, Thalia Rahme, and Jillian C. York and translated into Arabic by Mohamed ElGohary and French by Thalia Rahme.